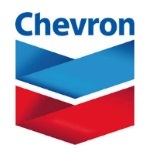 édité le 29/01/2015 - Plus de news de "CHEVRON" - Voir la fiche entreprise de "CHEVRON"
Chevron Corporation announced its subsidiary, Chevron U.S.A. Inc., will work with BP Exploration and Production Inc. (BP) and ConocoPhillips Company (ConocoPhillips) to explore and appraise 24 jointly-held offshore leases in the northwest portion of Keathley Canyon in the deepwater Gulf of Mexico. Chevron will be the operator. "Chevron has a proven track record for delivering superior results in complex deepwater developments," said Jay Johnson, senior vice president, Upstream, Chevron Corporation. "We will work with our co-owners to evaluate how to develop these leases, along with our recently announced discovery at Guadalupe." The transaction encompasses the Tiber and Gila discoveries, and the Gibson exploratory prospect. Chevron recently acquired an interest in Tiber and Gila from BP. Chevron, BP and ConocoPhillips already held interests in the Gibson prospect. The scope of the collaboration between Chevron, BP and ConocoPhillips includes further exploration and appraisal of these leases as well as evaluating the potential of a centralized production facility, which would provide improved capital efficiency, similar to Chevron's Jack/St. Malo project. Chevron, BP and ConocoPhillips also plan to work together to achieve efficiencies in schedule, realize cost savings, and optimize the use of human resources. "Chevron has a leading position in the deepwater Gulf of Mexico," said Jeff Shellebarger, president, Chevron North America Exploration and Production Company. "By collaborating across several prospects and discoveries, and incorporating the technologies and experience of the three companies, we expect to develop these fields in the most cost effective way and shorten the time to final investment decision and first production." The recently-announced discovery at Guadalupe, located adjacent to Keathley Canyon, could also be developed by utilizing the centralized production facility. Chevron, BP, and Venari, the Guadalupe co-owners, will evaluate this possibility during the upcoming appraisal phase of that discovery. Over the past five years, BP has invested nearly $50 billion in the US – more than any other energy company. BP is a leading producer of oil and gas and provides enough energy annually to light the entire country for a year. Employing more than 18,000 people in all 50 states, BP supports about 200,000 jobs total through all of its business activities. ConocoPhillips (NYSE: COP) is the world's largest independent E&P company based on production and proved reserves. Headquartered in Houston, Texas, ConocoPhillips had operations and activities in 27 countries, $55 billion in annualized revenue, $119 billion of total assets, and approximately 19,000 employees as of Sept. 30, 2014. Production from continuing operations, excluding Libya, averaged 1,520 MBOED for the nine months ended Sept. 30, 2014, and proved reserves were 8.9 billion BOE as of Dec. 31, 2013.